Scottish Country Dancing. It’s a lot of fun, and I’ve never met anybody who as not been able to pick up the steps! I’ll be dancing the reel today in prep for the Scotland Ball at the Abigail Adams Ball Room at 417 East 61st street from 7-9PM. You can join me, if you like (in casual attire—women you probably want to wear pants for your first lesson). Amé Amé is located at 17 W 29th St, NYC, between 5th avenue and Broadway—just across the street from the Ace Hotel. 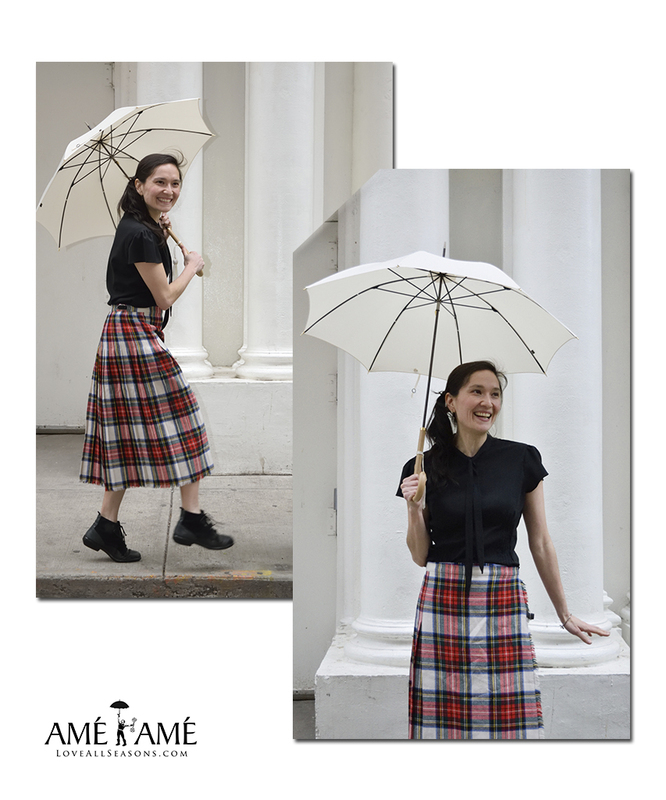 This entry was posted in Umbrellas and tagged #ootd, how to wear tartan, outfit of the day, what to wear with tartan, where to buy cream umbrellas in nyc, where to buy fox umbrellas in nyc, where to buy umbrellas in nyc, women's fashion in nyc by AmeRain2. Bookmark the permalink.